Robotics, coding, engineering – challenge yourself and learn something new while playing with cool materials. Presented by Sylvan Edge. Is your student ready to fall in love with STEM this winter? Your Tallmadge library and Sylvan of Fairlawn are excited to announce that the STEM@Sylvan Building Experiences will once again be taking place on the first Thursday of every month at 6:00 pm. Your child will have an exciting chance to learn hands-on robotics, math, engineering, and science. December 6: Beat those winter blues and join us for an Hour of Code, a worldwide grassroots movement to demystify coding and introduce the basics of computer science. 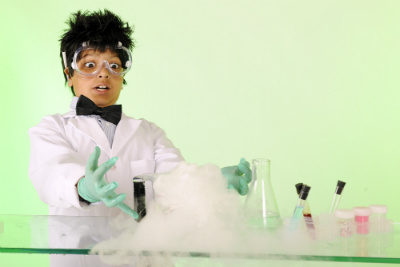 January 3: Create wonder this winter with your student as we get silly with science experiments and learn all about chemical reactions. February 7: Fall in love with Robotics as Sylvan takes us on an adventure programming and designing robots. Your student will explore the science behind gears and motion. Be sure to register by calling 330-633-4345 so your student can join their friends to discover how sensational STEM@Sylvan is! Participation is limited to 20 students.